Photographer - One optional extra that I didn't want to cut corners with. I felt I had managed to make so many savings and plan (hopefully!) a fantastic event that I wanted photographs taken professionally as a permanent reminder of the weekend. We went for the Gentleman Photographer. His portfolio looks professional and he's super-approachable. Post box - Postboxes are 'in' at the moment as somewhere to put cards at the reception. However, what we want, instead of pressies (think I mentioned before about how much 'stuff' we have accumulated after nearly 25 years) was a charity post box for Cancer Research UK. 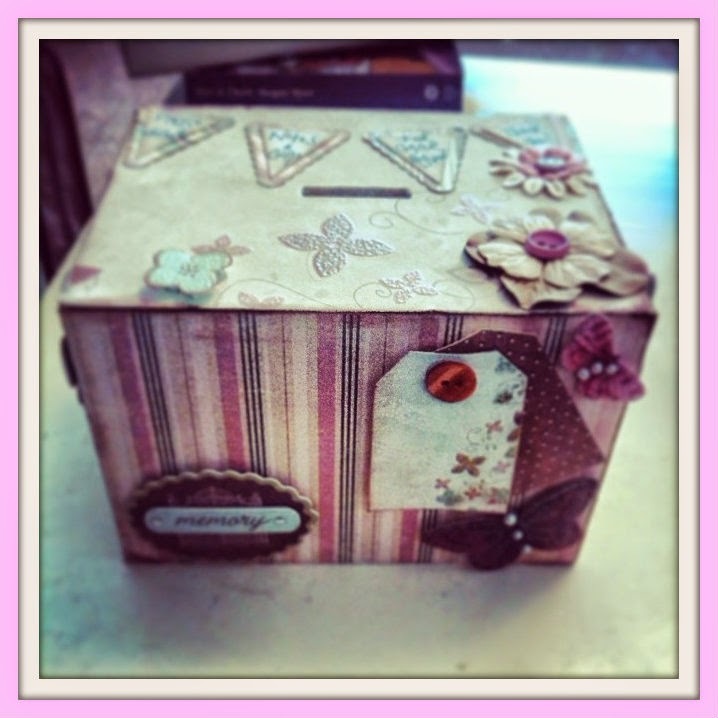 So I found a plain box in my burgeoning craft stash and decorated it myself for pennies. Charity shops and car boot fairs for some frames. Or ebay - got the most amazing huge frame, pick up only, for 99 pence - nobody else had bid on it because the picture was so cr*p - but we just took the picture out! Did check first it wasn't a Van Gogh! We also bought a second hand photo printer for a tenner so peeps can print their photos straight away and display them. 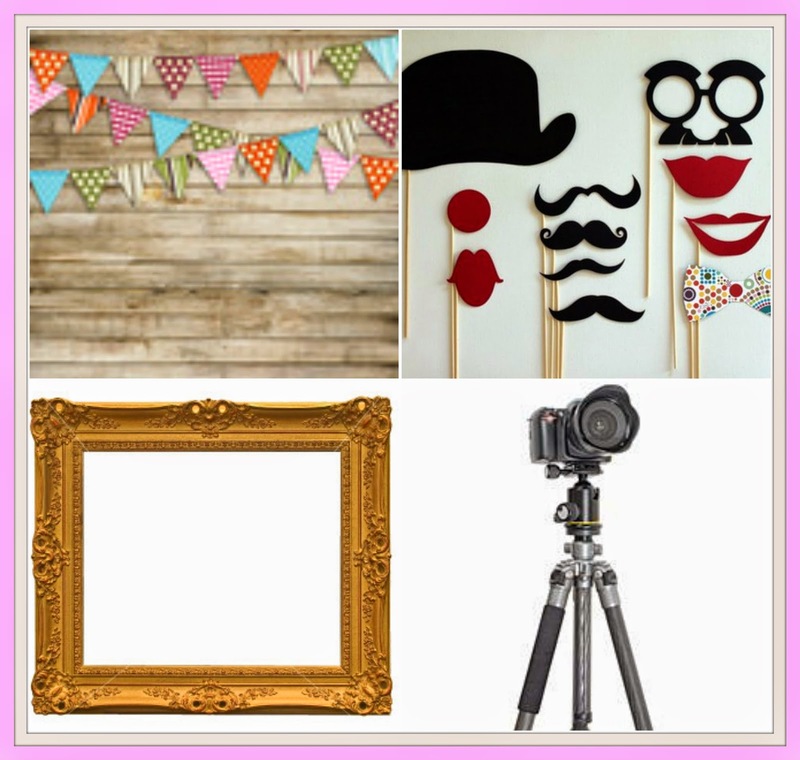 Lovely backdrop from AliExpress for £15 - again can share it around afterwards or sell it. You did a bang up job on decorating that box! I used to love those photobooths back in the 70s at the shopping malls. The box came out beautifully.